Thought this would be fitting for Throwback Thursday. It's a crappy cellphone picture because I didn't feel like dragging out my scanner. 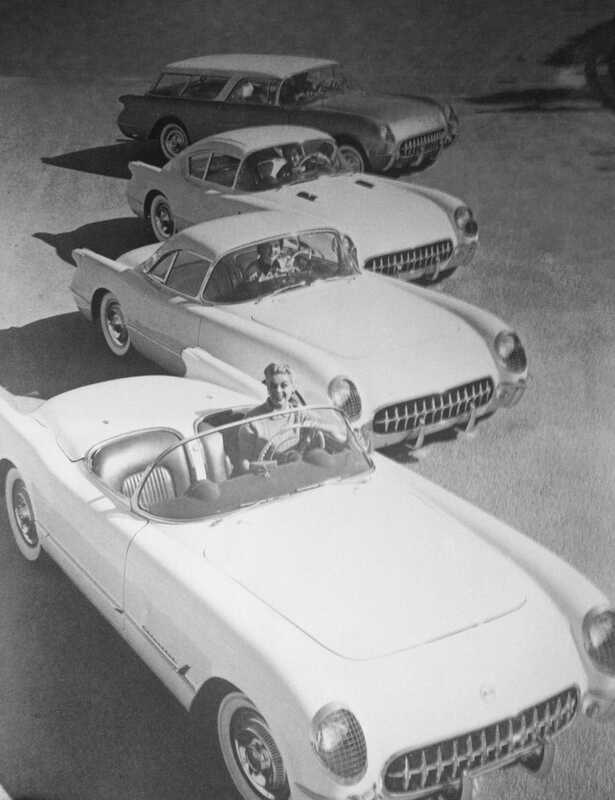 But this is the lineup of Corvettes from the Motorama auto show where it was introduced ... including a station wagon. Wonder what happened to that one. The book is "Corvette: 1953 to the Present"; the "Present" was 1985. I'll also leave you with this gem: "Even if it doesn't happen before 1990 it seems perfectly clear that the next version of the Corvette ... will be powered by a v6 engine, and the rumble of the v8 will die away for ever." Glad they were wrong.